Poloniex started by introducing an innovative concept of trading cryptocurrencies or digital currencies and are considered as one of the most active crypto exchanges in the world. In its trading methodology, it implements various advance trading tools to execute the trading strategy smoothly. It takes advantage of several technical indicators and its robust application interface to inform the updated news regarding trading to its registered users. Poloniex embeds an advanced monitoring tool that aids in monitoring all the activities 24×7 to detect and block any suspicious activity. It has the vision to come up with innovative projects with the access of the latest technologies to push the industry of digital currency forward. The organization always welcomes developers to join them with innovative and strategic trading concepts. Poloniex is an America based cryptocurrency exchange organization that was founded by Tristan D’Agosta in 2014 at Wilmington in Delaware of United States. By 2018 the company was ranked as the 25th largest crypto exchange by coinmarketcap.com with almost a daily trading volume of $70 million. It was then acquired by a mobile payment firm, Circle Internet Financial Limited that is backed and supported by the financial giant Goldman Sachs Group Inc.
Poloniex mainly focuses on trading Bitcoin exchange. It suffered a setback in 2014 due to a hacker attack where it lost 12.3% of all Bitcoins. Poloniex suspended all its operation in the state of Washington and New Hampshire in 2016 due to the introduction of regulatory changes in the Uniform Money Services Act. 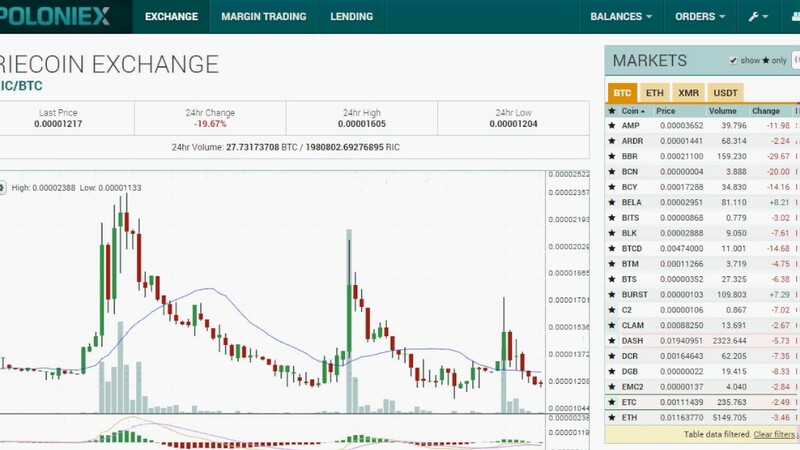 By fighting with all the discrepancies, Poloniex reappeared in the market with the framework of Circle Internet Financial Limited.